A smartphone with the Android 5.1 operating system or higher and with a minimum screen size of 4.7″ and a maximum of 5.5″ (95 mm maximum thickness). A WI-FI network to which the computer and the smartphone can connect, and which has access to the internet. 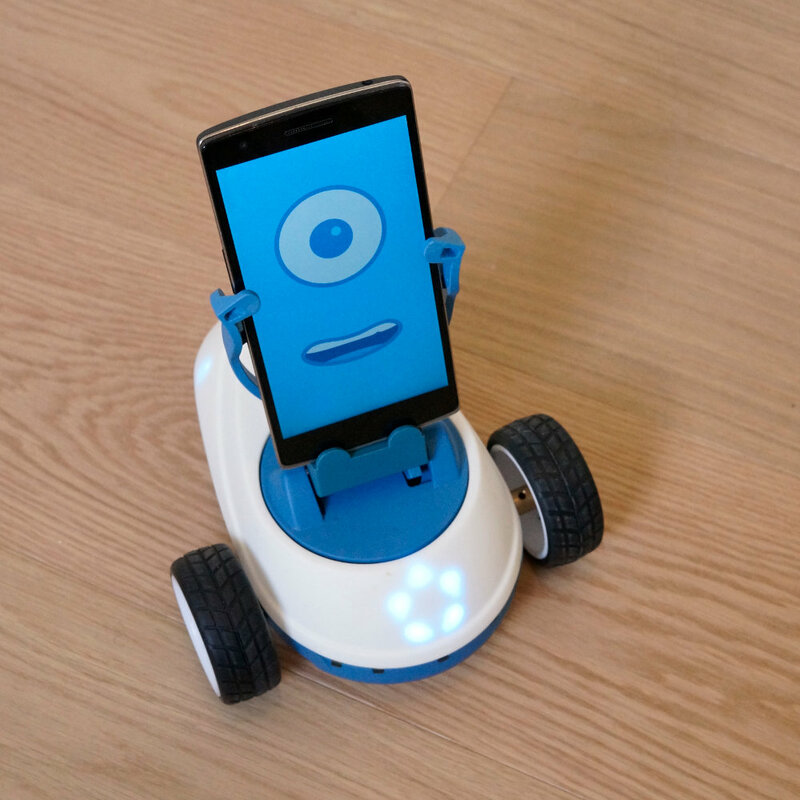 The Robobo mobile application that can be downloaded from the Google on-line store (Google Play), and that must be installed on the smartphone. 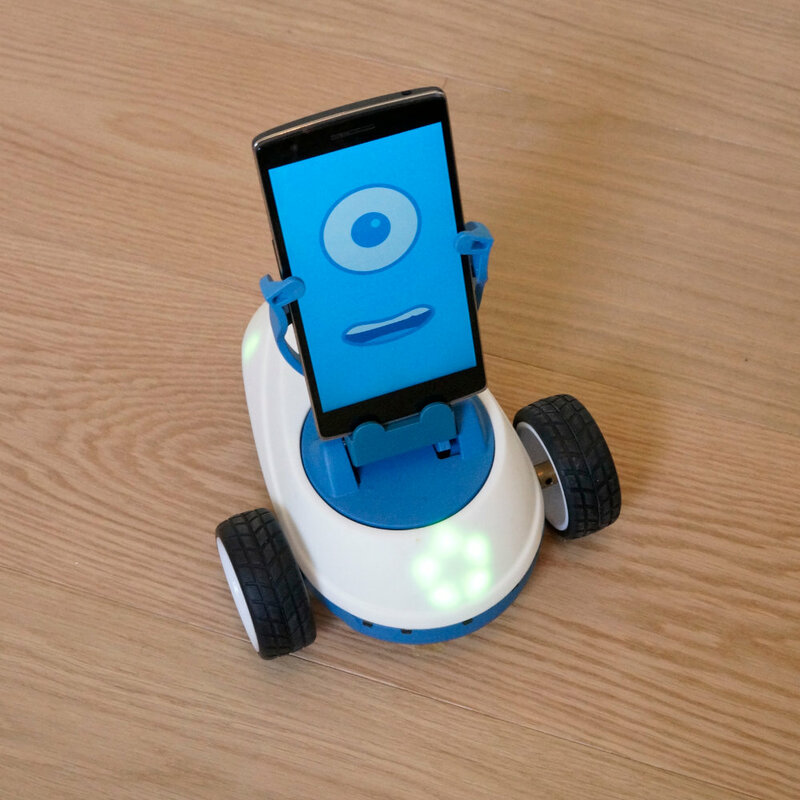 Through the Robobo mobile application it is possible to program the smartphone from a compatible computer or tablet using ScratchX, the version of Scratch that allows the use of the Robobo blocks. Both the Robobo application and the Scratchx blocks are completely free, and this manual explains how to use them to program the robot. 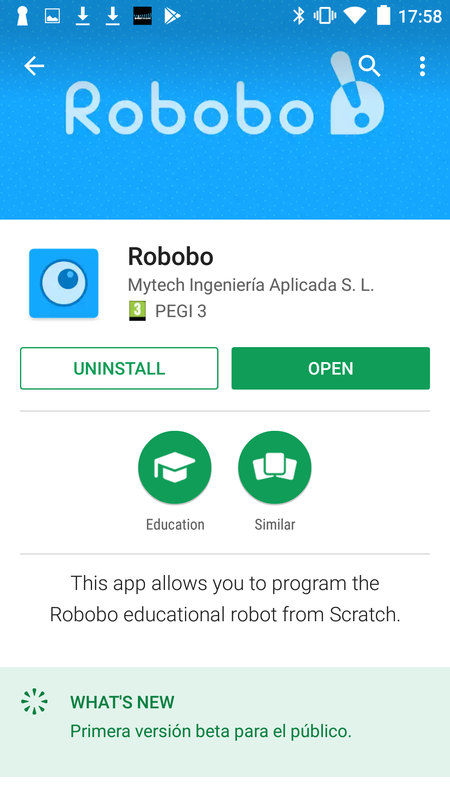 Below are the steps to follow to be able to program Robobo from ScratchX. Connect the computer and the smartphone to the same WI-FI network, which must have an internet connection. WARNING: You can not create the wi-fi network with your own smartphone that attaches to the Robobo base. Download the following file (template.sbx) to the computer. IMPORTANT: check the specifications of the application that appear on Google Play if your mobile is compatible with Robobo. 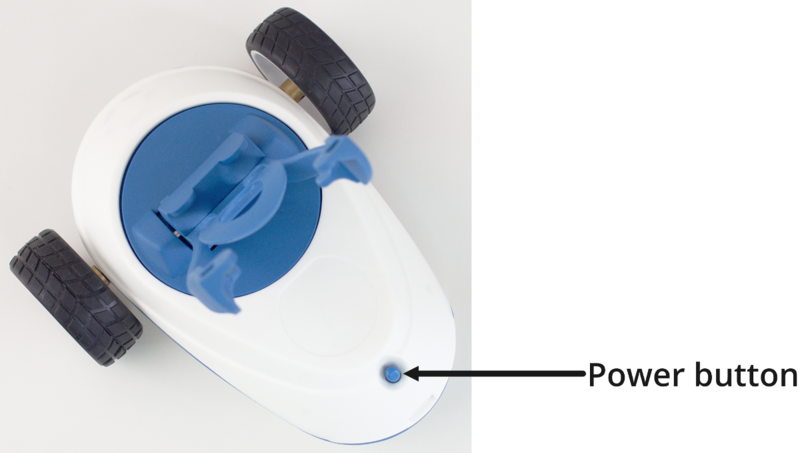 To attach the smartphone to the Robobo base holder, you must insert it softly between the two levers of the holder, separating them with your own fingers if necessary (*), and slide it down until it is fixed in its lower part. Turn on the Robobo base and wait for the calibration of the pan-tilt unit to finish. The LEDs on the base light up in red. 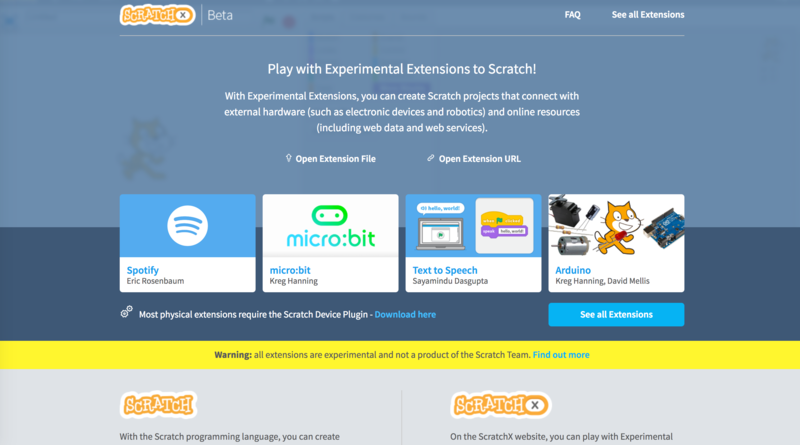 Once the ScratchX website is loaded, click on the option “Open Extension File” and open the file “robobo_template.sbx” or another one you have created before. 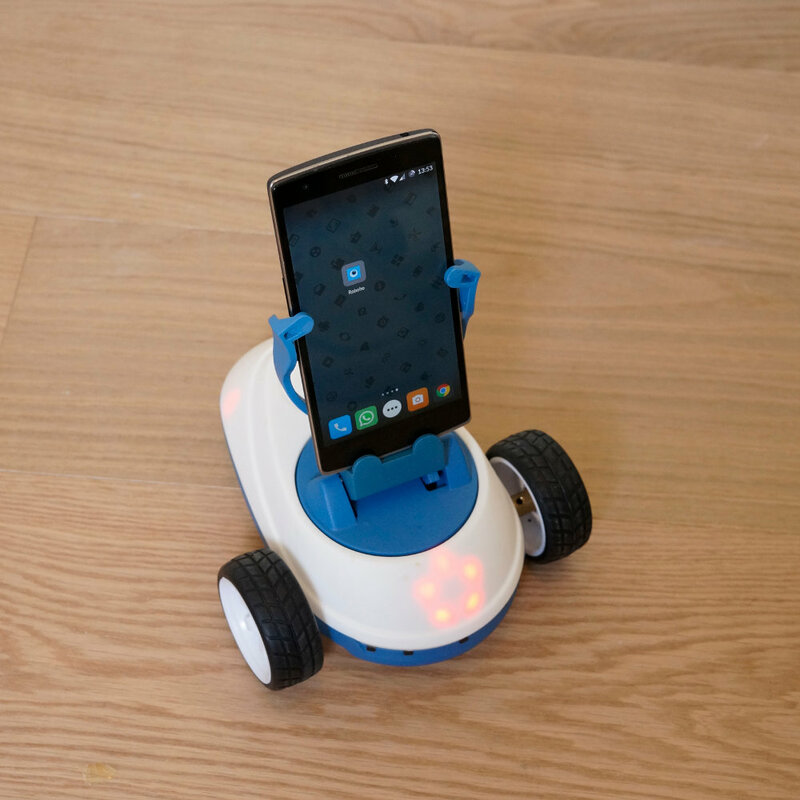 Place the smartphone in the holder of the Robobo base so that it is securely fastened. 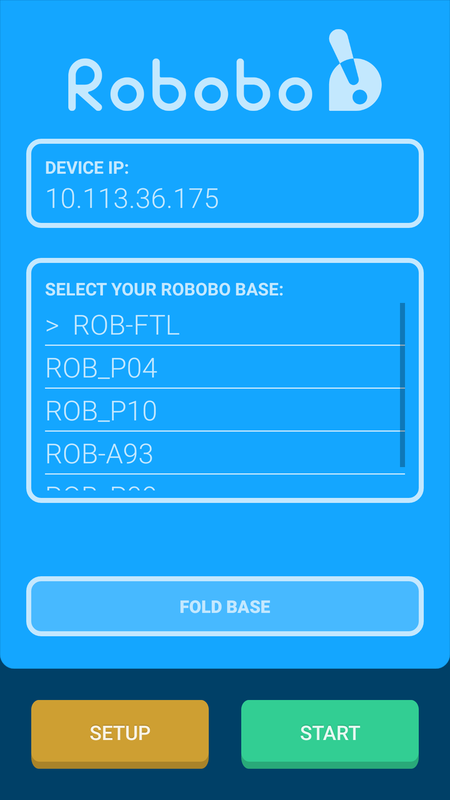 Start the Robobo app on the smartphone. 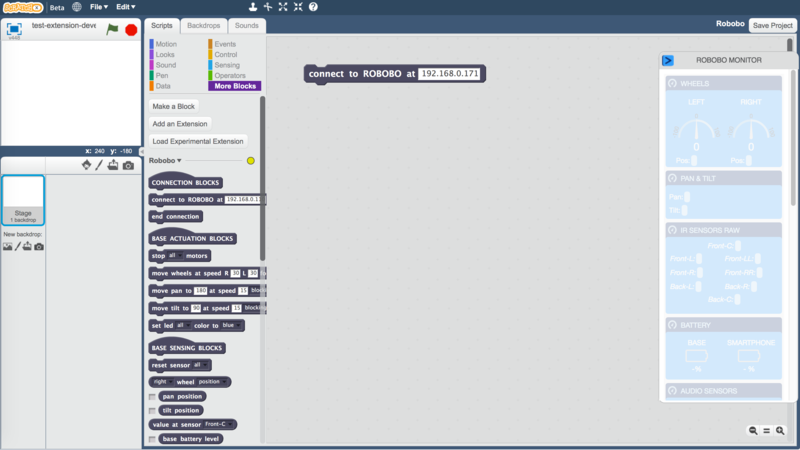 Copy the IP address that is displayed on the application screen in the “connect Robobo at” block that appears in the ScratchX window. 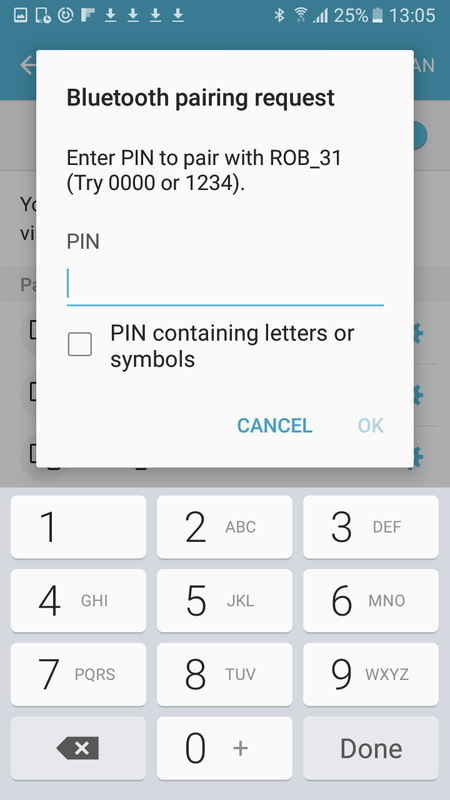 Select in the app the number of the Robobo base you wish to connect to and press “start”. If the connection is successful, the LEDs on the Robobo base turn blue. Click with the mouse on the “connect Robobo at” block on the computer. The LEDs on the Robobo base turn green and the “connection status” message lights up green on the ScratchX screen. If the connection is not successful, you can refer to the “Known Issues” page.